The new Bb LABORATORIES Sleeping Moist Gel Mask is the final step of your daily skin treatment routine. Formulated to use before bed time when the skin is in the rejuvenation cycle, it contains various highly effective skincare ingredients that nourish the stratum corneum. The mask is light that can quickly infuse into the skin to strengthen the three essential elements - natural moisturizing factor, intercellular lipids and skin surface lipids. It locks in moisture during sleep and prevents dehydration, creating an optimal situation for skin recovery. This night treatment mask is the secret to waking up with a glowing and radiant skin. The sleeping mask is formulated with a variety of moisturizing ingredients to enhance the water-locking ability of the stratum corneum. Five fermented extracts are used to reinforce the natural moisturizing factors, promote metabolism, strengthen skin tissues and the immune system to resist damage from pollution and UV in the daytime, creating a healthier, moisturized and supple skin. Four kinds of ceramides, five kinds of cholesterol, fatty acid and jojoba oil can fill the gaps between keratin cells to form a lamellar structure to lock in moisture and prevent dehydration. Vitamins A, B, E and minerals such as calcium and magnesium can strengthen the barrier to protect the skin. A variety of skincare ingredients like placenta extract and glycosyl trehalose can effectively activate skin cells, and promote blood circulation, stimulate metabolism and retain moisture. Cynara scolymus (artichoke) leaf extract improves rough skin and reduces fine pores. Acetyl dipeptide-1 cetyl ester promotes the synthesis of elastin fiber to enhance skin elasticity. Pyrus malus (apple) fruit extract is rich in AHA, which is a highly effective anti-oxidant, and it helps soften the stratum corneum. In addition, the aroma of rosa damascena oil helps relieve stress and balance hormone secretion. This mask provides its users with busy lives a relaxing and time-saving yet highly effective overnight treatment, to give a supple and glowing skin. After the skincare routine before bed, take an appropriate amount with a spatula and apply onto the face. Leave on overnight and rinse with warm water in the morning. Suitable for daily use. Ordinary bath products may not be able to completely remove dead skin cells or dirt. Accumulated dead skin cells will block the hair follicles causing “Keratosis pilaris”, and hair follicle inflammation or acne may be resulted. PH Body Clear Gel Pro. contains glycolic acid, which helps to soften dead skin cells. Montmorillonite, illite and kaolin contain minerals such as magnesium, sodium, calcium. With their fine molecules they can remove dead skin cells, excessive sebum and dirt, and improve blood circulation. Contains capsules of Vitamin E, which can be released during massage for an anti-oxidizing effect. Vitamin A protects our skin against free radicals, repairs damaged cells, regulates keratinous metabolism, boosts collagen production, and reduces melanin formation. Placenta extract and hyaluronic acid are also active ingredients of the cleansing gel. Placenta extract is rich in vitamins, amino acids, minerals and cholesterol which can activate cell regeneration, increase metabolic rate, prevent melanin formation and break down dark spots. Gynostemma pentaphyllum leaf extract activates the aquaporin in the cell membrane. Together with hyaluronic acid, they can increase the moisture retention. Passiflora edulis fruit extract, paeonia suffruticosa extract, grapefruit and neroli extracts are good in detoxification and reduce edema, which promote blood and lymph circulation with massaging. The gel soothes the skin with anti-inflammatory and whitening effects. A touch of fragrance calms nerves and eliminates fatigue. Daily use after shower can help create a translucent and supple skin. After shower, massage an appropriate amount onto the body while the skin is still wet. Wait for 2 to 3 minutes before rinsing. Combine it with the use of “PH Refresh Lotion Pro.” and “PH Body Gel Cream Pro.” to maximize the benefits. Use every day after shower. 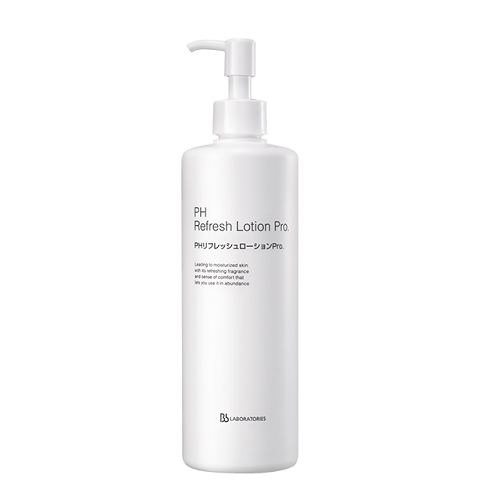 PH Refresh Lotion Pro. is refreshing and revitalizing that is suitable for facial and body use. Hyaluronic acid can penetrate the skin instantly; placenta extract can activate cells and prevent the formation of melanin to make the skin more vibrant. 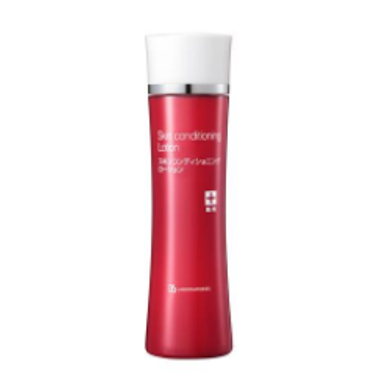 Raffinose and bishydroxyethyl biscetyl malonamide enhance moisture retaining ability, prevent dehydration, and strengthen the skin's defense to adapt to the external changes such as UV rays, humidity, etc. The anti-oxidizing property of vitamin E slows down cell aging and increases metabolism. The lotion contains water from Izumo Hot Spring, which is a skin-friendly weak alkali, rich in natural trace elements and minerals such as potassium, calcium, magnesium, etc. It helps the skin to absorb the beauty essence and remove metabolic waste; organic acids extracted from 7 kinds of fruits can remove dead skin cells and regulate the regeneration cycle. Lemon peel oil refreshes the mind; peppermint oil, orange oil, lavender essential oil and fresh green leaf compound can relieve stress and anxiety. The lotion can also be used as a hydrating mist to set your makeup and nourish your body, leaving your skin soft and supple, giving it a shiny glow! After Placenta Extract, apply an appropriate amount with cotton balls or the palms, pat gently onto the skin until fully absorbed. Use every day in the morning and evening, or whenever necessary. 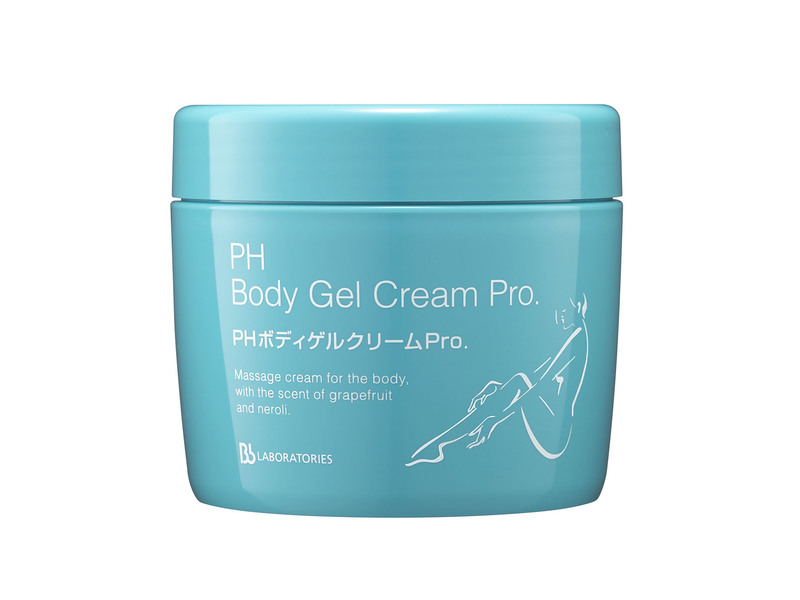 PH Body Gel Cream Pro. contains hyaluronic acid, which is excellent in retaining moisture in the skin. It also contains placenta extract, which strengthens cell activity to regenerate of skin cells, creating firmness and elasticity. The formula also reduces pigmentation, allowing your skin to become incredibly tender and beautiful. Combined with algae extract, ginger root extract and lemongrass leaf and stalk extract, which have anti-oxidizing characteristics, the massage cream promotes a glowing complexion. Oolong tea extract gently cleanses the skin. Through body massage, grapefruit and orange blossom essential oils can promote blood and lymph circulation, remove toxins and reduce swelling. Its fragrance derived from natural ingredients helps calm anxiety and relieve stress, creating a refreshing sensation. After showering, warm up an appropriate amount of cream in the palms. Massage onto the body until fully absorbed. The cream can also be applied as a body moisturizer. Massage: Use once or twice a week. Moisturize: Use every day after shower. 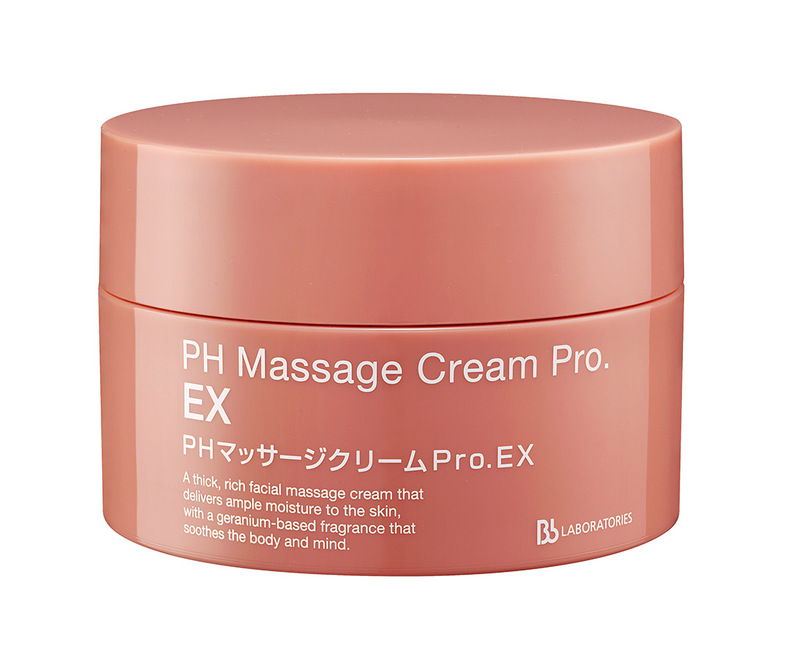 PH Massage Cream Pro. EX contains three major components: placenta extract, hyalurone elastin collagen extract and dipotassium glycyrrhizinate. All of which stimulate cell growth, increase moisture retention, prevent inflammation and irritation. The utilization of clover flower extract, soybean seed extract and belamcanda chinensis root extract help balance hormones, nourishing the skin to return to its youthful appearance. Not only does it carry lavender and anthemis nobilis flower oils but the new edition also carries geranium flower oil, which helps improve sleeping patterns, balance hormones and oil secretion. Facial massage can stimulate the regeneration and rejuvenation of skin cells, improve blood circulation, enhance and recharge your complexion. Massage also encourages facial lumphatic drainage, ridding of excess moiture and toxins, reducing swelling, creating bright and glowing skin. Apply an appropriate amount to palms and apply onto thoroughly cleansed face. Gently massage in circular movements for 5-10 minutes. Cleanse remaining product off using cotton pads. Use once or twice weekly. 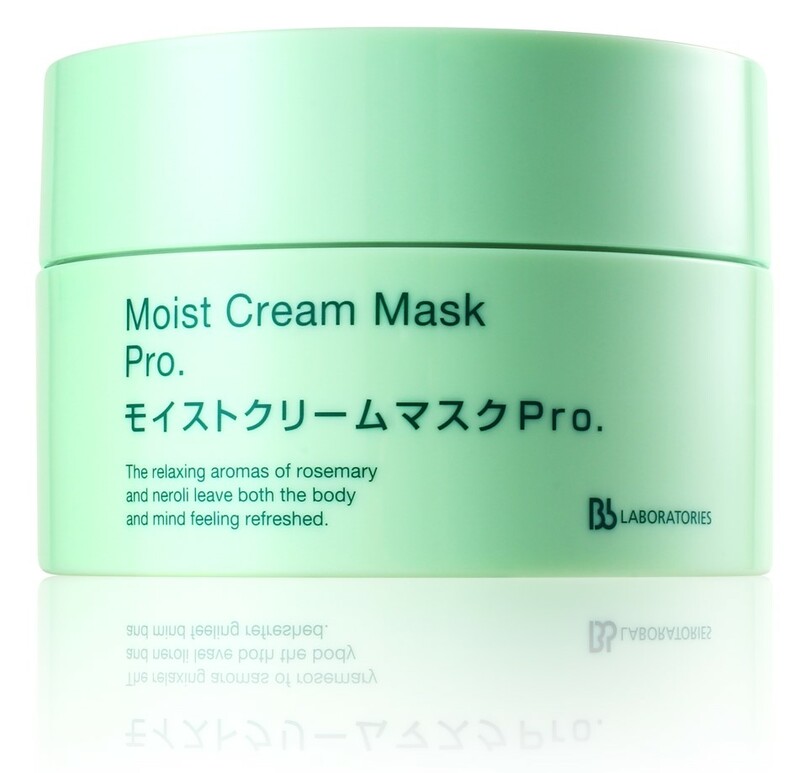 Combine with the use of Moist Cream Mask Pro. to maximize the benefits. An enriched wipe-off massage gel for facial esthetic treatment aimed for professional use in beauty salons in Japan. It is a well-balanced gel for facial massage with a rich texture. Through massage, the gel works directly into the depth of your skin and rapidly works for multiple skin troubles by stimulating blood circulation and metabolism, strengthening the skin's ability of draining waste, replenishing moisture and nutrients, preventing aging and skin laxity, restoring firmness and bringing a new brightness and translucency to your skin. It also contains plankton extract which helps remove dead skin cells, refine pores and reduce black heads. A delicate fragrance of essential oils like lavender oil and anthemis nobilis flower oil helps relaxing nerves and reducing skin's stress. The massage gel helps achieving an ideal balance in your skincare routine. After cleansing, apply appropriate amount and gently massage over the face with circular movements for 5 to 10 minutes. Remove remaining residue with a wet cotton pad. Combine it with the use of Moist Cream Mask Pro. to maximize the benefits. *Promotion of Massage Gel Limited Set, >>CLICK TO SHOP<<. Moist Cream Mask Pro. contains haberlea rhodopensis leaf extract. Haberlea rhodopensis leaf grows in dry habitats and can live up to a century, due to its capability to thrive in harsh and dry environments. Once it saves up enough moisture, its growth rate is accelerated. Haberlea rhodopensis leaf may help skin cells retain moisture, instilling natural moisturizing factors within the cell, nourishing the skin. The mask also contains rosa damascena flower water, hyaluronic acid etc. This allows the skin to maintain its moisture to prevent dryness. Additionally, yeast extract, placenta extract and other beauty elements nourish the skin and accelerate the blood circulation. Its anti-oxidizing properties create a glowing and luminous skin. After cleansing, apply an appropriate amount over the face. Avoid lips and areas around the eyes. After 15-20 minutes, gently wipe off the mask by cotton wool or a warm towel, or rinse off with lukewarm water. Apply extract and facial cream afterwards. Use once to twice per week. use after PH Massage Gel Pro. to maximize the benefits. 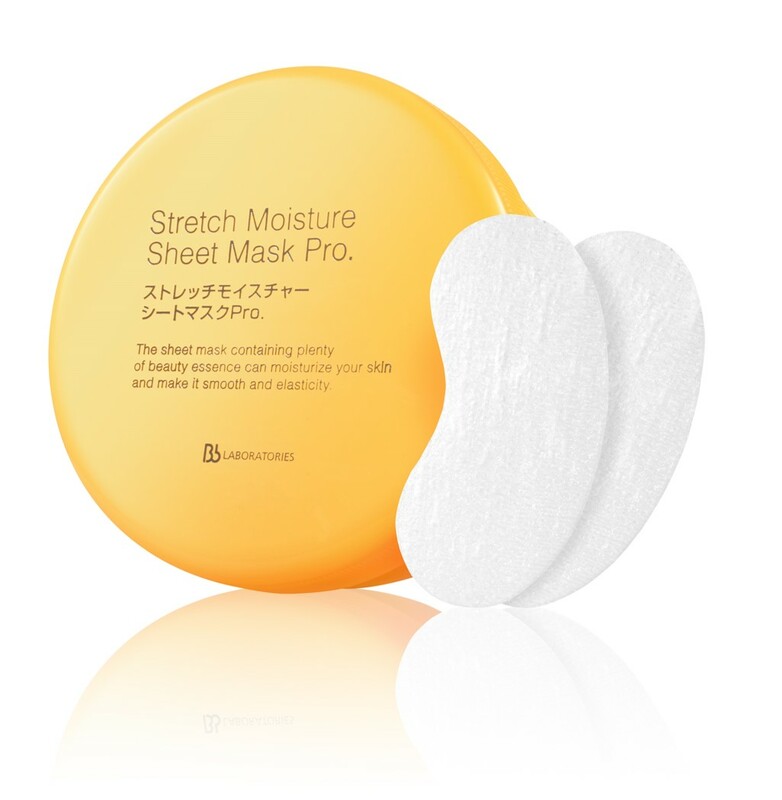 The Stretch Moisture Sheet Mask Pro adopts the essential elements: placenta extract, hyaluronic acid, elastin and collagen, to prevent skin dryness and wrinkles, restoring firmness and elasticity of the skin. Besides, the sheet mask also contains three ingredients that enhance the beauty of the skin. Kinetin is a natural antioxidant that slows down the aging process and increase cell rejuvenation. As a result, wrinkles and pigmentation can be reduced. Acetyl hexapeptide-8 allows muscles to relax, decreasing wrinkles formation. Tocopherol is a type of Vitamin E with anti-oxidizing properties, which encourages blood circulation, and moisturizes the skin to prevent wrinkles. The patches are tailored to fit the facial contours, allowing the ingredients to penetrate. As a result, the eyes look renewed and luminous. After applying extract and extract water, use tweezers to retrieve the sheet mask and gently place it below the eyes or around the corners of your mouth. Remove after 10 minutes, massage the rest of the extract into the skin. Apply eye cream or facial cream afterwards. Use once or twice a week, or use daily if needed. It contains placenta extract and multifunctional hyaluronic acid. By transforming the molecule into tiny microspheres level for effective penetration, the cream can strengthen the overall structure of the skin to lock in moisture. Tiny molecules can be absorbed into stratum corneum quickly, locking up the moisture and forming a natural protection from dehydration. 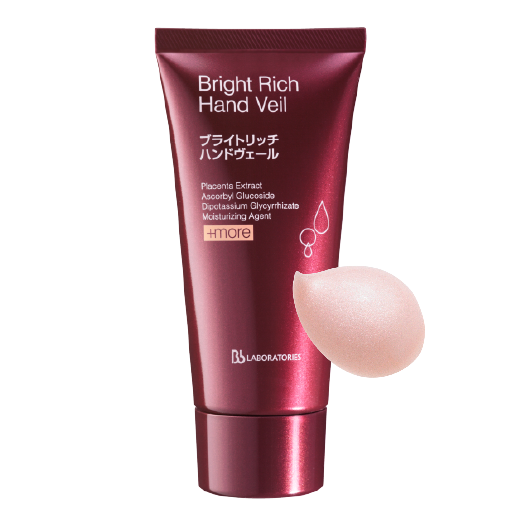 The smooth texture can be easily spread on your hands without greasiness. The natural pink color can cover fine lines on hand and provide healthy skin color with radiance. From now on your hand would not hint your real age secret. Gently massage an appropriate amount on hands until fully absorbed. The lotion makes your skin refined by exfoliating the dead skin cells, preparing your skin for the routine care. It contains chamomilla recutita extract, which is a good antioxidant, with anti-inflammation properties. Perilla ocymoides leaf extract can defend the skin against the harms from free radicals, and improve dullness. The lotion is effective in reducing acne and spots, and diminishing pores, keeping the skin soft and bright. Before Extract, apply an appropiate amount with cotton balls and wipe gently over the face. - Combine with the use of Hyalurone Extract series for a hydrated and softened skin. - Combine with the use of Placenta Extract series for a moisturized and translucent skin. - Combine with the use of Medicated Whitening series to diminish spots and improve skin radiance. Adult acne is mainly due to factors like pollution and stress. Dryness and irritation are usually resulted, which decreases the cell regeneration, and thus the stratum corneum thickens. The skin is unable to absorb and retain moisture normally. Bacteria begin accumulating in pores, leading to the formation of acne. Our natural healing ability weakens with age, causing acne to remain. The lotion contains placenta, allantoin and other ingredients, which helps moisturize the skin and enables the skin cells to repair and regenerate. This formula also contains botanical ingredients such as coix seed extract, lithospermum extract, licorice extract and burdock extract, which strengthen the skin. The lotion can be easily absorbed, to regulate sebum secretion and prevent the formation of acne. After extract, apply an appropriate amount with cotton balls and wipe gently over the entire face. 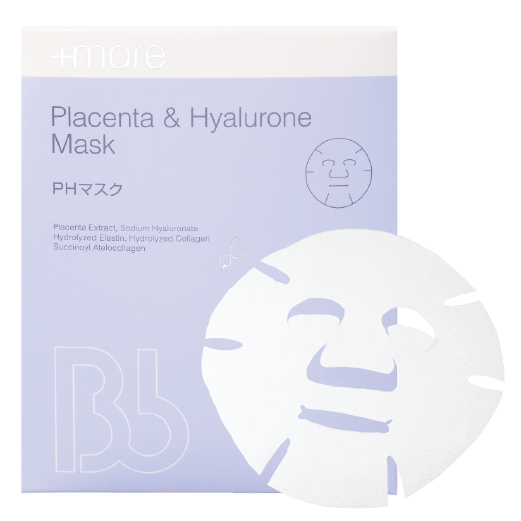 Containing two of the best beautification essence – Placenta Extract” and Hyalurone Elastin Collagen Extract ”, the mask is equivalent to a 30ml bottled essence. It has 4 layers of medically used high density fibers, which reduces the essence from evaporating. It meticulously looks after every inch of the skin with its uniquely designed three-dimensional trim that fits intimately to the contours of the face. This mask leaves skin regenerated, silky smooth and radiant. Gently apply the mask to fit tightly to the face. Rest for approximately 15 to 20 minutes. Massage residual extract into the skin. Use 2 to 3 times a week or whenever necessary.